You are moving out soon and want to be sure that your landlord will give you the security deposit back? We can arrange that. Our skilful cleaners possess the necessary expertise and cleaning arsenal to meet the requirements of every demanding landlord. They are able to visit you in the entire London and you won’t pay through the nose for their professional help. 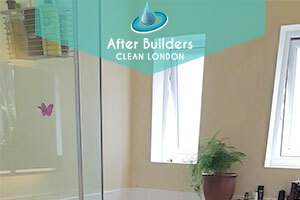 Our company operates in the cleaning business for several years already, serving tenants, landlords and estate agents. We are flexible enough to satisfy every individual need and deliver 100 per cent customer satisfaction. From us you can expect only professionalism and efficiency. Whether it goes about a one bedroom flat or several-story house, for us the work is never too much or too less. As a customer focused company, our main objective is to deliver a service of great value to everyone, who needs our assistance. For this reason, we select carefully the cleaners in our team, making sure they possess the necessary skills and motivation to carry out a professional end of tenancy cleaning. In order to enhance the quality of their work, we organise thorough training programs and regularly renew their cleaning arsenal. With us you are guaranteed to receive the reliable cleaning solution that you need because our service has a 48-hours guarantee and in case of any problems during this period, you can count on us to come back and clean the specific areas free of charge. For any additional information, our responsive call centre agents remain at your disposal. Give them a call and they will tell you everything you need to know about our company.